Upon completion of this course, you will be able to implement a screening process for sleep breathing disorders, understand what is happening to your patients and know how to treat them using the standards of the American Academy of Dental Sleep Medicine and the American Academy of Craniofacial Pain. You will be able to offer your patients a whole new level of healthcare and reinvigorating your practice and you love of dentistry. 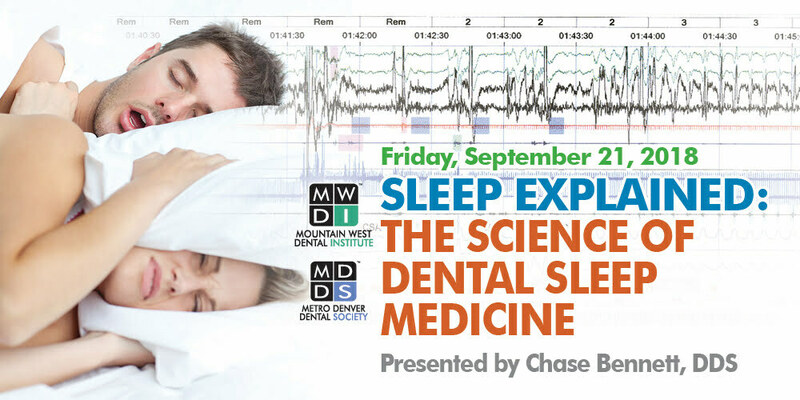 Learn the science and fundamentals of dental sleep medicine based on the current standards of the field. Explore how sleep apnea affects your patients general and dental health. Gain an understanding of basic airway anatomy. Learn how to properly screen your current patient base. Gain practical knowledge of dental appliance selection. Learn the connections between sleep apnea, sleep bruxism and TMD. Investigate the clinical and financial pitfalls of dental sleep medicine. Get the clinical pearls to implement on Monday morning.